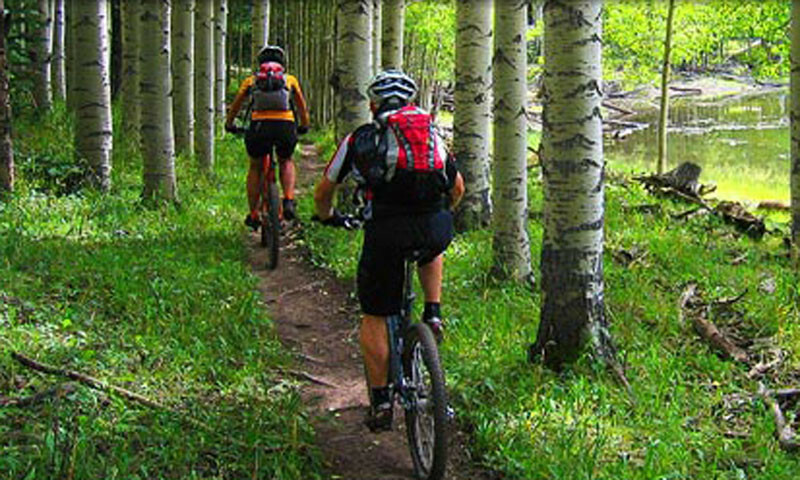 Vail biking offers the outdoor enthusiast dozens of mountain wilderness trails that include peddling up steep inclines, downhill cruising, and cross-country trekking, all while enjoying breathtaking vistas and forested valleys. Fully supported 3-day biking tour through Frisco, Vail and Leadville CO., Colorado's most beautiful corridor. Committed to adventure for over 37 years – we know adventure! In winter we provide ski/snowboard/snowshoe rentals and full winter accessories. In Summer we are a full service bike & tune shop and tour operator. Vail's premier bike and ski shop. Check out our new Double Diamond shoe store across the street. Visit this Summer seasonal bike shop and know you'll be treated right. Specializing in fitting people to bikes. 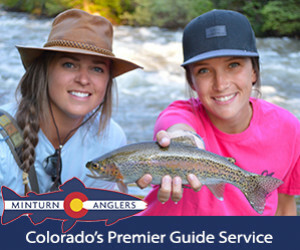 Guided activities throughout Vail, Colorado including off road adventures, ATV tours, horseback riding, whitewater rafting, biking, zipline tours, and more. Full service bike shop open year round. Crescent Moon Snowshoes for rent and sale during winter months. THE source for bikes, tunes & parts in Vail. Check our website for complimentary trail maps and trial conditions. Let us be in charge of your next adventure! Come talk shop with us about Mountain and/or road bikes and accessories. We love to ride as much as you do! Experience traditional hand detailed repairs, knowledgeable staff & quality products alongside the most recent technology in skis, snowboards & bikes. State of the art bikes, skis and boards all freshly tuned for your optimum outdoor enjoyment. Located on the Lionshead mall, we offer full service bike rental, repair, retail and guided tour services. Mia Stockdale & Shane Sluder invite you to participate in their kids camps, Jr. race academy, group instruction or private lessons. 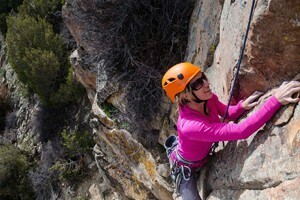 Guided hikes, horseback rides or motor tours. Disc, mini & full golf courses. Mountain & road biking, trail running & don't miss Adventure Ridge. From mountain bike rentals or tours to ski or snowboard equipment, we can outfit you head to toe. Ask bout our boot fit guarantee. Customized bike tours and rentals. Discounted rates on groups of 4 or more. Reservations required for tours. Vail mountain biking starts the minute the snow melts. Folks love biking past meadows filled with wildflowers, viewing the ridgeline vistas and smelling that fresh pine-scented air. The choices in where to go for great Vail, Colorado mountain biking seem endless. Within the White River National Forest there are many trail networks. You can find additional information at the Forest Service Information Center. The best time for mountain biking is from June to October, dependant upon when the last snow melts and the first snow of the season occurs. This 12.7-mile roundtrip ride through the forest and across marshy land takes you around Lost Lake and then through some dense forest and open meadows. You’ll find the trailhead on FS 700 off of exit 176 of Interstate 70 at Vail. Creek crossings, pine forests and aspen groves are the highlights of this trail. It’s 6.5 miles of gorgeous Rocky Mountain scenery and wilderness. At an intersection of the trail, you have two options to continue your ride. You can go on a more technical trail with rocky sections and switchbacks, or take the easier trail to the right with fewer switchbacks. This ride is on FS 786 almost immediately after it intersects with FS 700. This 6.5-mile trail begins at the Red Sandstone trailhead and goes west up above Vail. Cross Buffehr Creek and ride around some beaver ponds. As you begin to climb, get ready for some lovely views of the Gore and Sawatch Mountains. Take I-70 exit 173 to get to the trailhead on Red Sandstone Road. Here is a short but strenuous ride of 3.3 miles in length. It follows FS 781 and is quite rocky in sections. But the ride through aspen glens and meadows is worth it. At the end you get views of Meadow Mountain and Mount of the Holy Cross in the distance. Take exit 173 off of I-70, west on N. Frontage Road, turning right on Chamonix, right on Arosa and right on Cortina Lane. This out-and-back bike ride is a good 26.2 miles starting as a paved bikeway. After you pass Lost Lake you’ll be riding downhill next to Indian Creek. Take the West Vail exit 173 and find the trailhead next to the West Vail shopping center. If you don’t have your own bike, you’ll find plenty of mountain bikes to rent around Vail. Many shops within Vail or in nearby communities are there to service you with rentals, tours and repairs. You can rent bikes by the hour, half-day, full day or a number of consecutive days. The prices range from around $23 to $75 a day, depending on what kind of bike you rent. When you are looking for a real mountain adventure in biking, you can take a mountain biking guided tour. The experience and knowledge of the area that the guides have allow you to enjoy only the best and most scenic trails, and provide you with rides that fit your particular ability and skill. Backcountry mountain biking tours are extremely fun and show you miles and miles of Rocky Mountain beauty. Check out the listings on this page to find an outfitter of your liking. 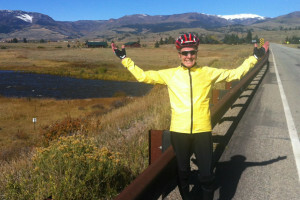 Crested Butte is the original mountain biking town!